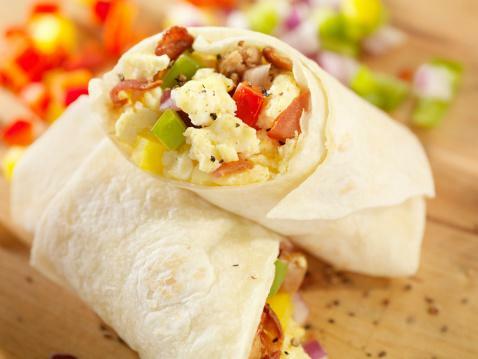 Choosing a vegan burrito recipe for breakfast is a perfect way to get your day started off right. Choose several plant-based main ingredients (such as proteins, veggies, and tortillas) and add new ones as you go. This simple, yet flavorful, zucchini wrap recipe is one you'll want to make over and over. You'll enjoy the variety of vegetables and flavors. Sauté onions in oil in a large skillet over medium-high heat, until onions begin to brown (about five to seven minutes). Add seasonings and zucchini, and continue cooking until veggies are tender (about five additional minutes). Add in chilies, black beans, and rice and simmer until heated through. Wrap tortillas in foil and heat in the oven at 350 degree F for about five minutes. Wrap veggie mixture with vegan cheese, avocado, and diced tomatoes. Use bell peppers in place of zucchini. Omit the rice to reduce the carb content. This recipe tastes a lot like the real egg and sausage version but without any animal-based foods. It's a great choice to serve to people who are new to a vegan diet. Saute tofu over medium heat with olive oil, garlic, salt, and onion (about five minutes) until onions are soft. Add peppers and seasonings and continue cooking for an additional seven to ten minutes (until mixture is no longer watery). Add vegan sausage to the mix and stir well. Wrap up mixture in warmed tortillas (with avocado, if desired) and enjoy! Use vegan cheese in place of vegan sausage. Replace peppers with mushrooms, spinach, or zucchini. Try vegan "bacon" in place of vegan sausage. 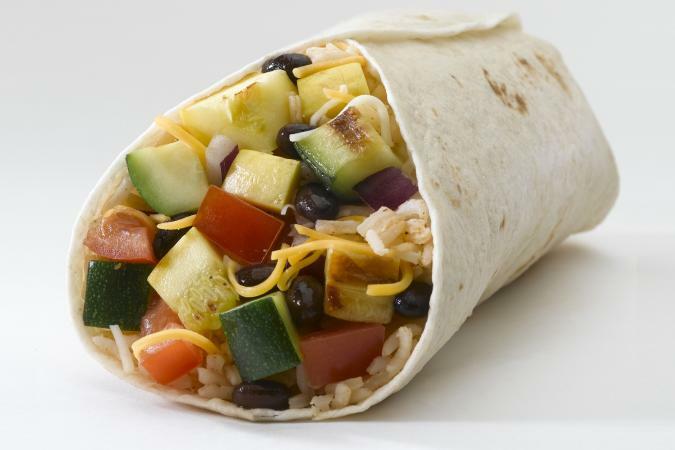 Many vegan breakfast burritos work well for lunch, dinner or even snacks and are as mouth watering as they are nutritious. That's why having a few vegan breakfast burrito recipes on hand is crucial when avoiding animal products (while getting all the essential nutrients your body needs) is your goal.